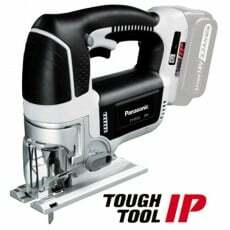 There are a wide variety of saws used on wood, metal, plastic, foam etc. Jigsaws, circular saws & mitre saws tend to be the more popular as well as having the greater variety of features to choose from. More complex cuts are achieved with mitre saws, slide mitre saws, slide compound mitre saws, table saws and flip over saws. 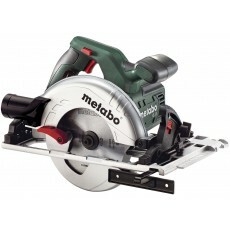 Specialist saws such as foam cutters and drywall cut out tools are available. Depending on the blade used, jigsaws are used in large number of applications to vertically cut various materials including wood, metal, plastics, foam, rubber etc. Professional orbital action jigsaws, also known as pendulum action jigsaws, are ideal for long straight cuts in wood. Reciprocating saws are used indoors & outdoors to cut a wide variety of materials including wood, metal, plastics, green wood and even ice. Mostly known as recip saws but also as shark saws, cut saws, sabre saws or sawzalls. They are used off-hand frequently for demolition, pruning etc. Alligator saws have parallel reciprocating blades used for cutting wood, plasterboard, aerated concrete (breeze blocks also poroton, beton) & plastic. A foam cutter is a specialist tool used in upholstery & injection moulding for cutting foam, rubber, gummed horsehair etc. Circular saws, sometimes known as a rip saw or Skil saw, are used for straight, vertical cuts in wood, wood with nails, corrian (worktops), laminates & aluminium depending on the blade selected. Circular metal cutting saws are exclusively for making straight, vertical cuts in mild steel, stainless steel as well as aluminium depending on the blade selected. A plunge saw, unlike a circular saw where the straight cut has to start from the edge of the material, is used for straight vertical cuts in wood, aluminium & acrylic. 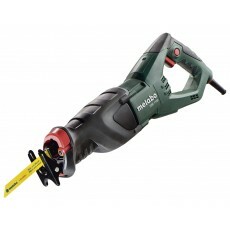 Plunge saws are often used by joiners & carpenters particularly in kitchen fitting & cabinet making. The saw is taken to large & unwieldy material to be cut and is more often than not, used with guide rails. A mitre saw is a portable machine for making cross or, by rotating the tool's turntable, angle (known as mitre) cuts in wood. Mitre saws are used both in workshops & by onsite carpenters for window casings, architraving, door frames, picture frames etc. The wood is taken to the mitre saw rather than the machine being taken to the material as in a circular saw. The majority are mains powered but cordless versions do exist. Slide mitre saws are portable machines for making cross or, by rotating the tool's turntable, angle (or mitre) cuts in wood. Slide refers to the rails on which the saw runs when it is pulled through the wood thereby enabling cuts to be made in larger sections of timber etc. 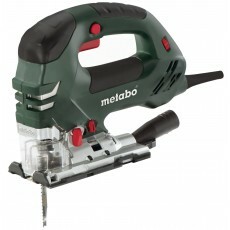 Mitre saws are commonly used for window casings, architraving, door frames, picture frames etc. 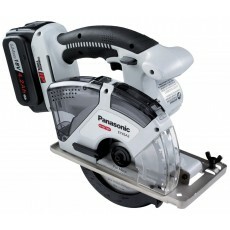 The majority are mains powered but cordless versions do exist. Slide compound mitre saws are similar to mitre saws in that they make cross & angle (mitre) cuts in wood but additionally, by tilting the head, they can make bevel cuts. By combining the mitre cut & bevel cut you get a compound cut, useful for framing a roof. Slide refers to the rails on which the saw runs when it is pulled through the wood at a bevelled angle. Table saws are used in workshops for making straight or bevel cuts in large sheet wood material, laminates & aluminium. They are often by kitchen fitters, roofers, builders etc. 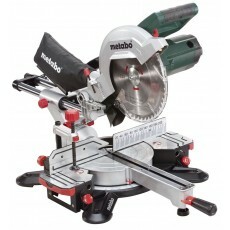 Flip over saws combine the functions of a mitre saw & a table saw. 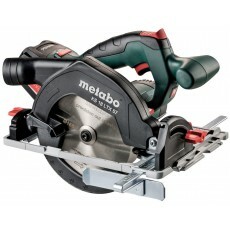 The mitre saw function makes cross or, by rotating the tool's turntable, angle (mitre) cuts in wood. By locking the saw and then "flipping" the table over, it turns into a table saw for making straight or bevel cuts in large sheet wood material, laminates & aluminium. Because of the flip over mechanism, it always comes on its own legs. A site saw is similar to a table saw in that it makes straight or bevel cuts but has its own legs & wheels so it can be moved close to the working site. It is used for cutting large sheet wood material, laminates & aluminium. 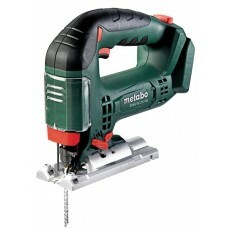 They are sometimes called contractor's saws and are often by kitchen fitters, builders etc. 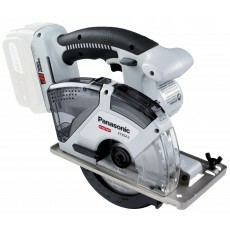 Bandsaws can be portable or fixed in a workshop or on site. 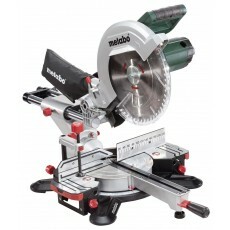 The fixed workshop bandsaws are for intricate cutting for wood, metal & laminates. The smaller portable versions are conveninent for taking to site and cutting wood, plastic pipes and aluminium. Portable cut off saws, sometimes called chop saws, are used for metal cutting, often of pipes. With the a tungsten carbide tipped (TCT) blade it is possible to cut stainless steel. Scroll saws are used for intricate cutting of plywood, balsa wood, often used in model making. Spiral saws are used by hobbyists to cut, sand and rout wood, plastic, drywall, metal and wall tiles. Drywall cut out tools are often used by electricians to cut out plasterboard & drywall to fit electrical sockets etc. 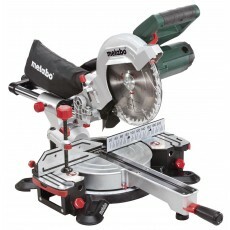 Please choose from the types of saws on the left & then we'll help you better match your needs. If you have a brand preference or know the power source you need, please select that too.